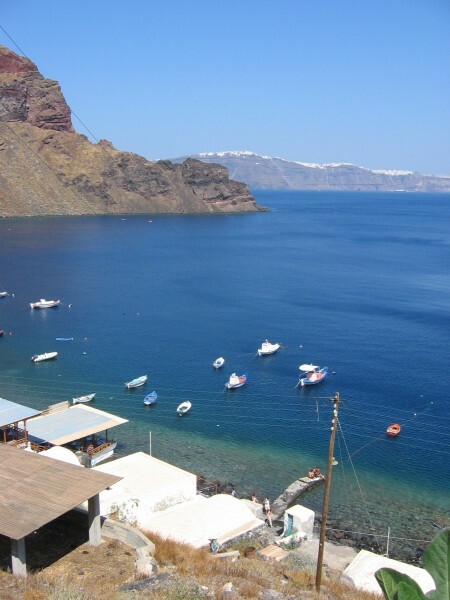 Thirassia, with an area of about 10 km2, is Santorini’s small neighbour island. It is a contemplative place with only 150 inhabitants, hardly visited by tourists. 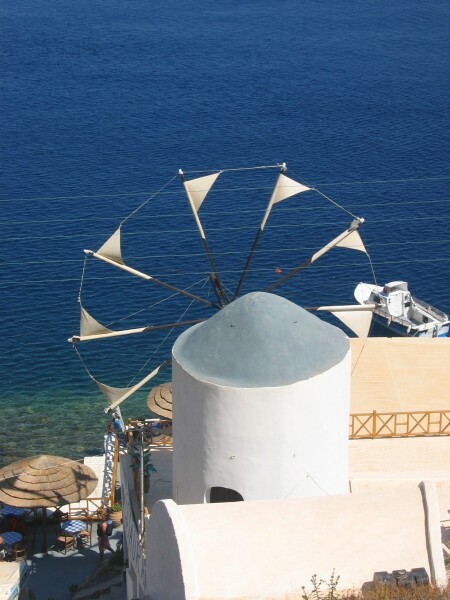 Connection with the outside world is assured by the big Cyclades’ ferries. 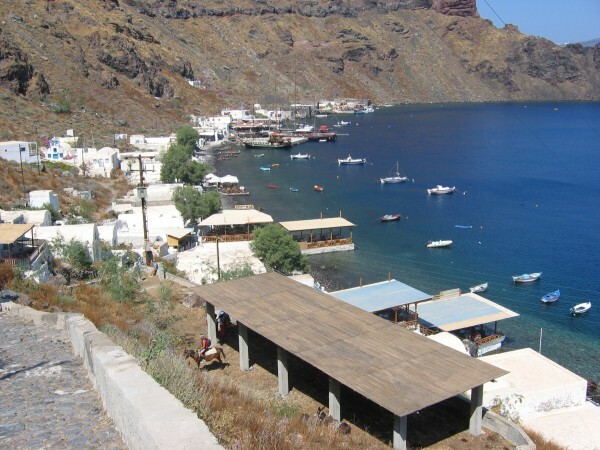 Daily tourists come from port Athinios. 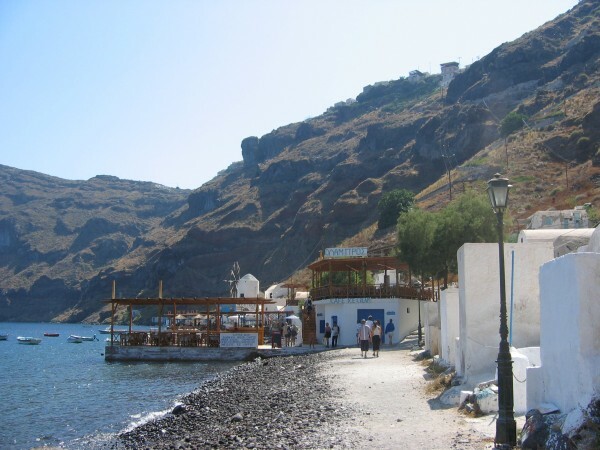 In the evening, when the last boat has returned to Thira, and only some tourists stay to spend the night, it is again contemplatively silent at Thirassia.